The EMULTEC construction method is a cold applied type surface processing (Chip Seal) construction method used in surface layer roughness repair and for preventive maintenance. 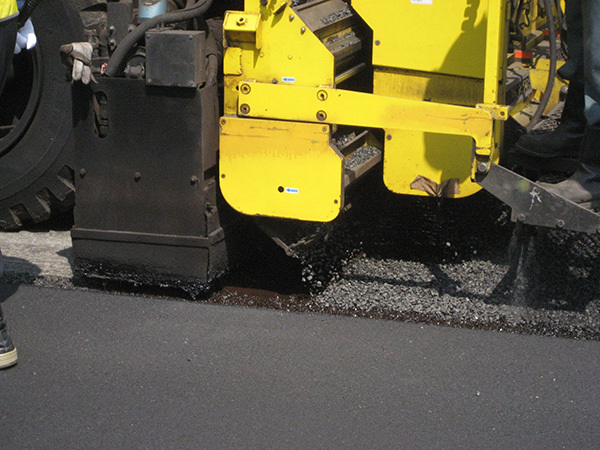 The EMULTEC construction method uses the modified asphalt emulsion “TAKUMIZOL” which has an outstanding aggregate gripping strength, and the pre-coat aggregate “ROMEN CHIP” which has enhanced adhesion. Because the implementation of the EMULTEC construction method is carried out by the dedicated finisher “ROMEN MACKU II” which simultaneously sprays the TAKUMIZOL and ROMEN CHIP, a highly precise and uniform surface is formed. Because this is an ultra-thin layer paving (around 5-8mm), it can also be applied in locations where the road level cannot be raised. Since this is a cold applied type of paving, the CO2 emission amounts during implementation can be greatly reduced compared to hot paving. 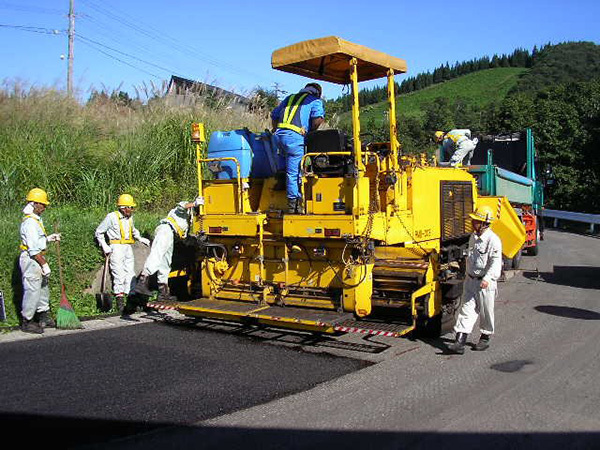 In comparison with previous chip sealing, because a modified asphalt emulsion is used that has a high aggregate gripping strength, the durability is high and there will be no asphalt tackiness even under high temperatures during the summertime.